A bump in prices near the beginning of the last month (November) took many operators by surprise, although demand throughout has continued to remain lacklustre. 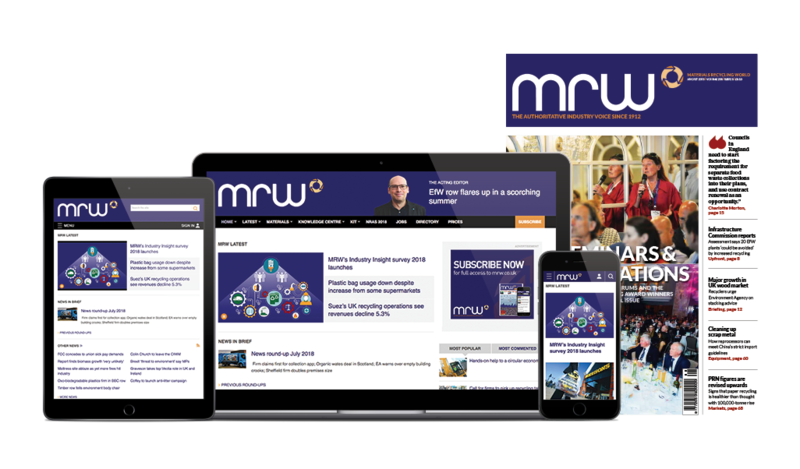 Most merchants that MRW spoke to reported an average increase of around £5 per tonne at the beginning of the month, rising to as much as £10 per tonne for some categories. Merchants generally had a hard time explaining the boost to prices in what is traditionally a less busy period. Most reported that the price movements had not necessarily been accompanied by an increase in trade. Another operator said prices were up £10 at the top end but they settled around £8 depending on the category. He put the rise down to readjusting from drops in previous months. However, he said that many merchants were still struggling, and there was no real impact from the reported economic recovery. Some merchants were still in danger of over stretching themselves, according to one operator in the South. They said that price fluctuations were not really reflective of the more general state of the market. “The prices were up a little in November, but a lot of people are still paying too much, just to get the work. It’s not healthy,” the opertor said. Scottish operators also generally reported quiet yards and door trade. One merchant said the recent price increase was likely to be another anomalous blip in what has been an unpredictable market in the last few months. In Wales, the experiences were more mixed. One larger operator was fortunate to report busy trade and expected it to continue to the end of the year, while another more rural merchant said that they there was no improvement in slow trade expected before Christmas. Neither was confident about predicting how next year would start. There were other pockets of more positive experiences. One North West merchant reported a busy November. “Maybe people are wanting to clear the decks for the year, although that usually happens in December,” he said. In general, exporters also seemed in a better mood, relatively speaking. One anticipated a possible domestic price increase in December, spurred by changes abroad. Meanwhile the industry has been adapting to the changes to the Scrap Metal Dealers Act. The British Metals Recycling Association has called “robust” enforcement of the new laws by councils and the police. The act came into force in October allowing dealers to use temporary licences. However from 1 December dealers needed a full licence to trade. Although police crackdowns since the introduction of the new act have resulted in offenders being arrested and material seized, some scrap operators have been reporting a knock on effect on business, with a reduction in trade. An operator in the South told MRW that local police were going to start an enforcement crackdown in December. He added that there were gaps in awareness of the changes among suppliers. One mid-sized merchant said that the new act was changing the profile of the industry, suggesting that some smaller merchants could end up calling it a day.